Introduction to: The Robot in the Garden: Telerobotics and Telepistemology in the Age of the Internet Edited by Ken Goldberg, UC Berkeley, MIT Press (2000). Every day the urge grows stronger to get hold of an object at very close range by way of its likeness, its reproduction. --Walter Benjamin, 1936. Some of our most influential technologies, the telescope, telephone, and television, were developed to provide knowledge at a distance. Telerobots, robots controlled at a distance, were developed in the 1950's to facilitate action at a distance. Specialists use telerobots to actively explore environments such as Mars, the Titanic, and Chernobyl. Military personnel increasingly employ reconnaissance drones and telerobotic missiles. At home, we have remote controls for the garage door, the car alarm, and the television (the latter a remote for the remote). The Internet dramatically extends our scope and reach. As "real world" documentary-style shows are increasingly in demand on television, thousands of webcameras are being set up by amateurs to continuously transmit live scenes from their street corners, offices, and bedrooms. The Internet offers not only new ways of viewing, but also a new ways of exhibiting. The bi-directional structure of the Internet also offers a new means for action. Telerobotic devices can be directly controlled from the Internet. From his or her desktop, anyone on the Internet can now stack blocks in a distant laboratory, or--as the title of this book suggests--tend a distant garden. Access, agency, authority, and authenticity are central issues for the new subject of telepistemology: the study of knowledge acquired at a distance. One of the great promises of the Internet is its potential to increase our access to remote objects. The distributed nature of the Internet, designed to ensure reliability by avoiding centralized authority, simultaneously increases the potential for deception. Many Internet cameras and telerobotic systems have been revealed as forgeries, providing unsuspecting users with pre-recorded images masquerading as live footage. The capacity for deception is inherent to the Internet and is particularly vivid in the context of telerobotics. Are we being deceived? What can we know? What should we rely on as evidence? These are the central questions of epistemology, the philosophical study of knowledge, dating back to Aristotle, Plato, and the ancient Skeptics. The inventions of the telescope and microscope in the 17th century moved epistemology to the center of intellectual discourse for Descartes, Hume, Locke, Berkeley, and Kant. Although epistemology has lost primacy within philosophy, each new invention for communication or measurement forces us to recalibrate our definition of knowledge. "Now, at the close of the 20th century", Hubert Dreyfus writes in Chapter 3, "new tele-technologies...are resurrecting Descartes' doubts." Telepistemology asks: To what extent can epistemology inform our understanding of telerobotics and to what extent can telerobotics furnish new insights into classical questions about the nature and possibility of knowledge? Artists have always been concerned with how representations provide us with knowledge.6 Telerobotics, like photography and cinema, is a mode of representation. As such, it has aesthetic implications; a variety of artworks that incorporate telerobotics have appeared on the Internet. But as we have noted, representations can misrepresent. If Orson Welles' War of the Worlds was the defining moment for radio, what will be the defining moment for the Internet? How will artistic strategies be shaped by telerobotics and what is its potential as an artistic medium? (Figure 1.1 The Telegarden (1995-ongoing). Ars Electronica Center, Austria. (Ken Goldberg, Joseph Santarromana, George Bekey, Steven Gentner, Rosemary Morris, Carl Sutter, Jeff Wiegley, Erich Berger). Photo by R. Wedemeyer. This volume includes sixteen original chapters by leading contemporary figures in philosophy, art, history, and engineering, with a postscript by Maurice Merleau-Ponty. In bringing together diverse perspectives on the fundamental philosophical issues surrounding this new technology, our aim is to identify critical points of reference. We will not attempt to cover the general category of unreliable textual information on the Internet, of which there is no shortage. We focus on the subcategory of information that arises from live interaction with remote physical environments. Accordingly, we will not explicitly address "softbots": information-gathering systems that remain wholly within the confines of software. Nor is this book intended as a treatise on social constructivism, the passionate debate about the fundamental existence of scientific entities such as fields, quarks, and photons. Our focus is less on ontological or metaphysical issues of existence than on the practical epistemic grounds for knowledge. The two are of course related: A scientific realist who firmly believes in the existence of quarks can still be interested in how we know their properties. And the social constructivist, convinced of the constructed nature of the quark model, can nonetheless be interested in what we can know about this model. No one would deny the existence of constructed models on the Internet that are patently false, but this should not be construed as an argument for constructivism. The twenty chapters in this book are organized into three sections: (1) Philosophy, (2) Art, History, and Critical Theory, and (3) Engineering, Interface, and System Design. The remainder of this Introduction provides definitions and an overview of the issues raised. 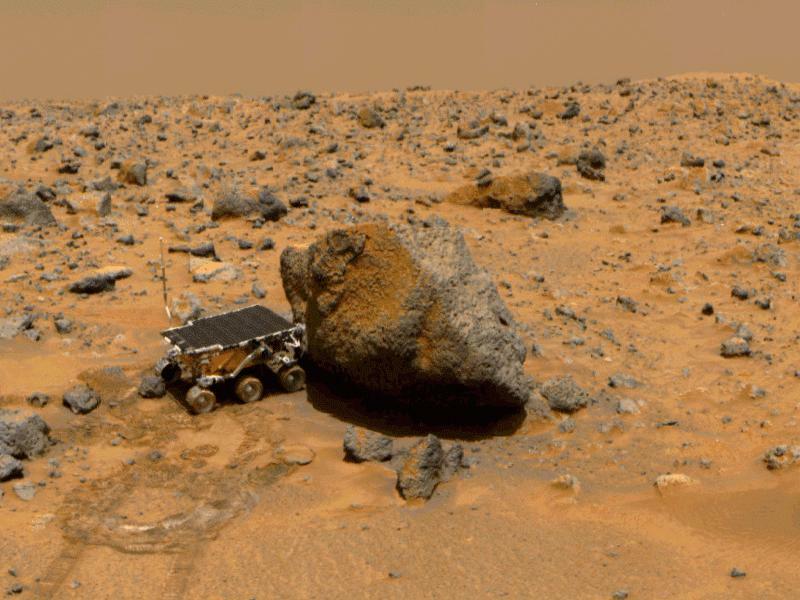 (Figure 1.2 : NASA's Sojourner Telerobot on Mars). (Figure 1.3 : The Trojan Coffeepot at Cambridge) Xcoffee. The Internet makes telerobotics accessible to a rapidly growing audience. Text-based Internet interfaces to soda machines were demonstrated as early as 1980. The first Internet camera was set up by researchers at Cambridge University to monitor the status of a coffeepot. In August 1994, my collaborators and I set up the first Internet telerobot14. A digital camera and air jet was mounted on a robot arm so that anyone on the Internet could view and excavate for artifacts in a sandbox located in our laboratory at the University of Southern California. In September 1994, Ken Taylor at the University of Western Australia demonstrated a remotely controlled six-axis telerobot on the Internet.15 In October 1994, Eduardo Kac and Ed Bennett exhibited a telerobotic artwork combining telephone and Internet control. Later that Fall, Richard Wallace demonstrated a telerobotic camera and Mark Cox put up a system that allows Internet users to remotely schedule photos from a robotic telescope. The early Internet telerobots designed by John Canny and Eric Paulos are described in Ch. 15. Two internationally sponsored technical workshops on Internet telerobotics were recently organized. Examples of Internet telerobotic projects are available online at http://mitpress.mit.edu/telepistemology. Chapter 2 focuses on Internet webcameras. Thomas J. Campanella of MIT's Urban Studies and Planning Program describes these as "points of contact between the virtual and the real--spatial anchors in a placeless sea". Campanella characterizes the distributed ability to set up such cameras as a "grassroots phenomenon" realized by thousands of volunteers. The grassroots metaphor also applies to the subject of many of these cameras: the local landscape. Citing Leo Marx' influential literary analysis16, Campanella characterizes the relationship between the machine and the garden as one of the central dialectics in American history. Our ambiguity toward the juxtaposition of robot and garden is compounded by telepistemic concerns that our "live" images may not in fact be live. Campanella suggests that careful correlation of image illumination with time of day, accounting for differences in time zones, can provide evidence of liveness. "The most reliable means of checking the veracity of our telepresent landscape may well be the sun itself--the most ancient of our chronographic aids." In this section, five authorities consider telerobotics and telepistemology from the perspective of philosophy. Although the role of mediation in technology has been a fixture of philosophy since the 17th century17, the Internet forces a reconsideration. As the public gains access to telerobotic instruments previously restricted scientists, questions of mediation, knowledge, and trust take on new significance for everyday life. Telepistemology, once a theoretical curiosity, becomes a practical problem. As Michael Idinopulos writes in Chapter 17, "Skepticism is often treated as a...`philosophical' issue with no real consequences for everyday life.... this view is deeply and importantly mistaken." We can divide telepistemological issues into technical and moral categories. Technical telepistemology is concerned with skeptical questions: Do telerobotics and the Internet really provide us with knowledge? To what extent is telerobotic experience equivalent to proximal experience? Moral telepistemology asks: How we should act in telerobotically mediated environments? What is the impact of technological mediation on human values? Both of these categories are addressed in this section. Agency is the ability to perform actions, to intervene as we observe. Ian Hacking18 provided a superb account of the optical distortions and limitations of early microscopes, noting that perception achieved with a microscope is fundamentally different than perception with the "naked eye." Hacking cites George Berkeley's New Theory of Vision (1710), according to which our sense of vision is acquired not just by passive looking but by intervening in the world. When looking through a microscope, our ability to actively manipulate a cell as we watch gives us confidence in what we are seeing. Agency plays an analogous role for telepistemology in telerobotics. In Chapter 3, Hubert Dreyfus, an authority on Heidegger, Merleau-Ponty, and the limits of artificial intelligence, notes that Cartesian epistemology arose in response to 17th Century developments in optics and biology. Instruments such as the telescope and the microscope challenged our claims to scientific knowledge and launched a new spirit of doubt and skepticism. Descartes applied this skepticism to human sense organs, treating them as transducers of mediated knowledge whose accuracy was always in question. Dreyfus reviews how philosophers have worked during three hundred years to refute Descartes' mediated conception of the senses--most recently with a phenomenological appeal to embodied perception. As in the 17th Century, we are now experiencing a rapid increase in the extent to which our knowledge is technologically mediated. Dreyfus suggests that advances in Internet telerobotics may reinvigorate the notion that our knowledge of the world is fundamentally indirect, provoking further advances and refutations. Catherine Wilson, author of The Invisible World (1995)19 a historical and philosophical analysis of the microscope, traces our mistrust of instrument-mediated knowledge even further, to the Greek idea that all representations are ignoble. In Chapter 4, Wilson points out that as 18th-century philosophers developed theories of landscape in response to the locomotive, 20th-century phenomenologists developed theories of immediate experience in response to the telephone and radio. These theories privilege everyday objects over the "opaque" and "inscrutable" workings of industrial machines such as hydroelectric plants. Wilson acknowledges that "there are ever fewer gardens...and there are ever more robots," but points out that contemporary technologies such as Internet telerobotics function "not to replace the natural world, but to display it....like windows and telescopes." Tele-technologies can enhance our respect for and understanding of distant cultures. But Wilson cautions that our primitive association of distance with fiction can also become an excuse for violence. In Chapter 5, Albert Borgmann also addresses moral telepistemology, although he disagrees with Wilson on several points. Borgmann, author of Information and Reality at the Turn of the Millenium 20, begins by characterizing technical differences between proximal space and mediated space. Borgmann uses the terms "continuity" and "repleteness" to describe the horizontal and vertical dimensions of richness that are lacking in telerobotic experience. Applying a notion of continuity different than Wilson's, Borgmann claims there is a sharp contrast between the suppleness of natural experience and the brittleness of computer mediated experience. Why then do we increasingly seek out the latter? Borgmann notes that in the age of hunting and gathering, sugars and fats were desirable but rare and scattered, requiring great effort for their collection. When technology made sugars and fats easily and abundantly available, "we retained our desires but lost the tempering circumstances." Borgmann argues that the Internet has played an analogous role with information: Our curiosity remains but we are losing the attentiveness and stamina needed to identify and extract knowledge. Jeff Malpas, author of Place and Experience21, argues in Chapter 6 that "mediated knowledge" is a contradiction: Knowledge is inextricably bound up with physical location. He attacks the "Cartesian-Lockean" view of experience, according to which all our knowledge of the world is mediated. It is this view, he argues, which leads to the mistaken idea that technological mediation is a natural extension of ordinary experience. Alvin Goldman's chapter can be read as a response to the skepticism of Dreyfus and Malpas towards telerobotically mediated knowledge. One of the foremost figures in contemporary epistemology,22 Goldman has developed a theory that knowledge can be defined in terms of reliable causation. In Chapter 7 he argues that this reliabilist account can be extended to cover telerobotically acquired knowledge. Developing a famous example from D. M. Armstrong, Goldman suggests that using a telerobotic device is like using a thermometer: It gives us knowledge if it reliably causes us to adopt true beliefs. Thus, a webcam or telerobot provides knowledge if it produces true beliefs and would not, in any relevant alternative situation, produce false ones. But as Goldman points out, telerobotic scenarios may alter the standard analysis of relevant alternatives in terms of "near neighborhoods." Telerobotic scenarios also make a particularly strong case for contextualism--the view that the criteria for knowledge depend on the consequences of error: what is at stake in knowing. Epistemologists consider our knowledge of propositions, the sorts of things that can be asserted, believed, doubted, and denied, e.g. "Jupiter has 16 moons." Consider a proposition P. According to Plato's classical definition of knowledge, I know that P if and only if 1) I believe that P, 2) this belief is justified, and 3) P is true. This tripod of conditions for knowledge is the cornerstone of classical epistemology. Suppose, for example, that I visit the Telegarden, which claims to allow users to interact with a real garden in Austria by means of a robotic arm. The page explains that by clicking on a "Water" button users can water the garden. Let P be the proposition "I water the distant garden". Suppose that when I click the button, I believe P. Furthermore I have good reason for believing P: A series of images on my computer screen shows me the garden before and after I press the button, revealing an expected pattern of moisture in the soil. And suppose P is true. Thus, according to the definition above, all three conditions are fulfilled and we can say that I know that I watered the distant garden. Does it matter whether a telerobotic site is real or not? Perhaps not to the majority of casual net surfers, but to those who spend enough time to care, to patiently interact with a purported telerobotic site, discovering the site to be a forgery can be as traumatic as the discovery by a museum curator of a forgery among one of the Rembrandts in the museum's permanent collection. The word "media" is derived from the Latin for "middle": Mediated experience, in contrast to immediate experience, inserts something in the middle, between source and viewer. The authors in this section address the aesthetic implications of telerobotic mediation. In Chapter 8, historian and critical theorist Martin Jay considers the time delay between reality and appearance that is inherent to telescopic vision and to telerobotic devices on the Internet. Jay traces the implications of this delay back to the 1676 discovery of the finite speed of light by Danish astronomer Ole Roemer. This "astronomical hindsight" has ontological and epistemological implications ranging from Benjamin's notion of starlight as Memento Mori to Nietzsche's anticipation of a breakdown of the fundamental concept of the "present" as grounded in the Aristotelian/Lockean/Berkeleyan/Cartesian notion of atemporal eyesight. Analyzing Baudrillard's reference to the finite speed of light25, Jay argues that that the supposedly "pure simulacra" of virtual reality are in fact parasitic on prior corporeal experience and that telerobotic systems have the potential to transmit attenuated indexical traces from their distant sources. Lev Manovich, artist and new media critic, begins Chapter 9 by analyzing how the index is subverted in cinema. The ability to record and edit images into spatial and temporal montage allows film to "overcome its indexical nature, presenting a viewer with scenes that never existed in reality". Cinema does not rely on the viewer's willing suspension of disbelief; computers are now used to carefully engineer undeniable illusion26. Some films, such as Blow Up, Capricorn One, Blade Runner, The Truman Show, and The Matrix, incorporate this process into their subject matter. Although sports is an area where live broadcasts are highly valued and deception is prosecuted, the recent success of professional wrestling on television suggests that sports viewers may be developing an increased appetite for irony. Manovich considers virtual reality as the culmination of a trend toward deception that goes back to Potemkin's 18th Century construction of false facades in Czarist Russia. He describes teleaction, the ability to act over distances in real time, as a "much more radical technology than virtual reality." Citing Bruno Latour's definition of power as "the ability to mobilize and manipulate resources across space and time," Manovich notes that telerobotic systems not only represent reality but allow us to act on it. Now that Internet telerobotic systems deliver teleaction to a broad audience, it is vital to reconsider the relationship between objects and their signs. Television allowed objects to be transformed instantly into signs; telerobotics allows us, through signs, to instantly touch the objects they represent. Artists were among the first to use telerobotics to explore this "gnawing sense" of uncertainty. There is a rich history of Communications Art from Moholy-Nagy to Nam Jun Paik, Roy Ascott, and Douglas Davis. Much of this "telematic" artwork was based on telephone and satellite technology; contemporary artists are now incorporating telerobotics into their work. An (incomplete) list includes: Maurice Benayoun, Erich Berger, Shawn Brixey, Susan Collins, Elizabeth Diller, Ken Feingold, Scott Fisher, Masaki Fujihata, Kit Galloway, Greg Garvey, Emily Hartzell, Lynn Hershman, Perry Hobermann, Natalie Jeremijenko, Eduardo Kac, Knowbotic Research, Rafael Lozano-Hammer, Steve Mann, Michael Naimark, Mark Pauline, Eric Paulos, Simon Penny, Sherry Rabinowitz, Michael Rodemer, Julia Scher, Ricardo Scofidio, Paul Sermon, Joel Slayton, Nina Sobell, Stelarc, Gerfried Stoker, Survival Research Laboratories, Rirkrit Tiravanija, Victoria Vesna, Richard Wallace, Peter Weibel, Norman White, and Steve Wilson. Brazilian-born artist Eduardo Kac has exhibited projects involving telerobotics since 1986. In Chapter 10, Kac describes four of his art projects, including Rara Avis, a critique of exoticism where a telerobotic wooden bird was placed into a cage with 30 zebra finches. Visitors on the Internet access cameras inside the avatar's head to achieve the rare bird's eye view from inside the cage. In Kac's Ornitorrinco project, real-time video was inserted into a false Internet interface, forcing bird and human participants to navigate through a complex network of true and fictitious projections. Kac's Telepresence Garment placed the artist into a sealed rubber bag where his movements and voice were contained and controlled by an external human "master" transmitting instructions from a remote art gallery. In Chapter 11, new media art curator and critic Machiko Kusahara reviews the work of five artists who use telerobotics. By allowing users to affect the real world by means of actions at a distance, these artists create a tension between "here and there". Some, such as Lynn Hershman Neeson, use this dichotomy to simultaneously represent multiple points of view, so that the user is at once both the observer and the observed. Others such as Masaki Fujihata use telerobotics to establish a sense of human community and cooperation despite physical separation. Others emphasize the limits of telerobotics; Ken Feingold shows how it can lead to alienation and Stelarc goes further by illustrating how telerobotics has the potential for inflicting physical pain. Artist and critic Marina Grzinic considers the aesthetic implications of time-delay in Chapter 12. Often seen as an aggravating and problematic aspect of the Internet, Grzinic defends time-delay as a potential resource for representing space and time. As Walter Benjamin suggested in the context of photography, shortening the "exposure time" can drain the essence from an image. Citing Baudrillard33, Grzinic notes the absence of aura in the sterile television images of recent bombings in Iraq and Serbia. In contrast, the inherent time delay between a viewer's request on the Internet and the resulting image functions in a way analogous to exposure time, giving the viewer time to consider and invigorating the image with meaning. Time-delay thus emerges as an aesthetic and telepistemological asset, leading to a deeper view of imaging technology and the world it seeks to capture. In Chapter 13, art historian Oliver Grau considers how a gnostic desire to transcend the limitations of the physical body provides an early referent for contemporary interest in telerobotics. Grau focuses on telepresence--the superclass of immersive technologies that often make use of helmets, goggles, and 3-D projections.34 Grau sees the realist illusions of renaissance art and the panoramas of the 19th century as early examples of telepresence technology. Robots and their precursors -- golems, puppets, and androids -- provide a different strategy for transcending the body. Grau discusses how Simon Penny's newest art project combines these themes of bodily rejection, illusion, and automata. Grau concludes by citing Ernst Cassirer and Paul Valéry on the relationship between distance and aesthetic contemplation. The third section provides perspectives from engineers and designers. Blake Hannaford, professor of engineering and an authority on telerobotics, provides a historical overview of telerobotics research in Chapter 14. Focusing on the issues of time delay, control, and stability, Hannaford reviews the 1950's work of R. Goertz, who developed mechanical teleoperators to handle radioactive materials at Los Alamos. As mechanical linkages were replaced by electrical signals, kinematics and dynamics were incorporated into efficient computer control algorithms for telerobotic systems. When control is attempted over long distances, for example on the Internet, variable time delays introduce the potential for system instabilities. Hannaford describes several of the techniques proposed to compensate, such as Sheridan's Supervisory Control, and Conway and Volz' Time Clutch. The distortions inherent to telerobotics pose fundamental questions of telepistemology that are further compounded on the Internet, where the user may not know or trust the engineers who designed the system. In Chapter 15, Computer Scientists John Canny and Eric Paulos address computer-mediated communication from Cartesian and phenomenological perspectives. The current Cartesian model for teleconferencing ignores the role of the body and breaks communication into separate channels for video, text, and audio. The results are often stilted and unsatisfying. Canny and Paulos propose an alternative model based on a phenomenological integration of physical cues and natural responses; they have designed a range of "tele-embodiment" devices to facilitate believable interactions over the Internet from helium-filled blimps equipped with cameras and wireless transceivers to ground-based telerobots. As issues of trust and intimacy arise in their experiments, Canny and Paulos conjecture that future telepresence systems will be "anti-robotic". Rather than automatons blindly repeating orders, "social machines" and toys of the future will express a wide range of behaviors including emotions. Telepistemology may help us to better understand not only what can be conveyed online, but also what is essential to hugs and handshakes. In Chapter 16, Judith Donath, director of the MIT Media Lab's Sociable Media Group, addresses skepticism in our knowledge of other minds. This question has long been of interest to philosophy (the problem of other minds) and cognitive science (the Turing Test, Joseph Weizenbaum's ELIZA and now Internet "chatterbots" such as Richard Wallace's ALICE).35 As Canny and Paulos point out, technology that mediates our interaction with other people--chat rooms, email, video conferencing, etc. -- generally restricts the range of social cues that guide our behavior. Our ability to recognize online deception has important implications. Unless we know whom we are communicating with, we do not know how to behave. Consistent with Wilson's point in Chapter 4, Donath suggests that as telerobotics enables remote agency, it may desensitize us to those whose identity, and even humanity, remains hidden from view. In Chapter 17, Michael Idinopulos uses telepistemological considerations to draw normative conclusions about telerobotic interface design on the Internet. Drawing on Descartes, Berkeley, and contemporary philosophers Donald Davidson and Richard Rorty, he distinguishes between "causal" and "epistemic" mediation: Knowledge is always mediated causally (by the events that produce it), but it is mediated epistemically only if it is the product of inference. Skepticism--the central problem in epistemology--challenges knowledge that is epistemically mediated. If knowledge from a distance is the goal of telerobotic devices, then epistemic immediacy should be the goal of interface design. This may be achieved by interfaces that allow the user to "cope skillfully" in the remote environment--to interact instinctively and unreflectively with distant objects, rather than treating them as theoretical entities to be inferred from evidence on a video screen.36 Like eyeglasses, telescopes, and microscopes, telerobotic devices should mediate our knowledge causally, but not epistemically. When we visit a telerobotic web site, we should not see the interface itself. We should see through the interface to the distant environment beyond. As a postscript, we reprint Merleau-Ponty's 1945 essay, The Film and the New Psychology 37. Merleau-Ponty describes how both Gestalt psychology and phenomenology reject the Cartesian dichotomy between mind and body. Rather than analyzing each sensation separately, phenomenology recognizes that humans respond as "beings thrown into the world and attached to it by a natural bond." Merleau-Ponty applies this model of perception to cinema, the new medium of his time. For example, Pudovkin's cinematic sequences using the face of Mosjoukin are cases of temporal Gestalt. Merleau-Ponty's essay provides a precedent where "modes of [philosophy] correspond to technical methods" and recalls Kant's remark that in knowledge, imagination serves the understanding, whereas in art, understanding serves the imagination. As we race forward, throwing overboard the values that used to provide ballast, we struggle to maintain our hold on the slippery thing we call knowledge. What will be the form and status of knowledge as we accelerate into a new millennium? As Walter Benjamin foresaw in 1936, we have an increasing urge to view and manipulate distant objects through their images. Tele-technologies, always useful for science, are increasingly relevant to politics and to our daily lives. It is in this context that telepistemology, the study of knowledge acquired at a distance, may help us to stay on course. 1 M. McLuhan, Understanding Media, MIT Press, Cambridge, Massachusetts, 1964. 3 W. Benjamin, Illuminations, Harry Zohn, transl., Shocken Books, New York, 1969. 4 G. Debord, The Society of the Spectacle, Zone Books, 1969. 5 D. Haraway, "A Manifesto for Cyborgs," Socialist Review 80, 1995. 6 L. Shlain, Art and Physics: Parallel Visions in Space, Time, and Light, Quill Press, 1991, and The Alphabet v. The Goddess: The Conflict Between World and Image, Viking Press, 1998. 8 G. Hardin, "The Tragedy of the Commons," Science 162: 1243-1248, 1968; P. Lenenfeld, "Technofornia," Flash Art, 1996; W. Mitchell, "Replacing Place" in P. Lunenfeld, ed. The Digital Dialectic, MIT Press, 1999. R. Winters, "Planting Seeds of Doubt," Time Digital, 8 March 1999. 9 K. Goldberg, "Virtual Reality in the Age of Telepresence" Convergence 4 (1): 33-37, March 1998. 10 M. Benedikt, Cyberspace: First Steps, MIT Press, 1991. 11 P. Levy, Becoming Virtual: Reality in the Digital Age, Plenum Press, 1998; M. Heim, Virtual Realism, Oxford University Press, Oxford, 1997; M. Poster, "Theorizing Virtual Reality: Baudrillard and Derrida" in Maire-Laure Ryan, ed., Cyberspace Textuality, Indiana University Press, Bloomington, Indiana, 1999; J. Steuer, "Defining Virtual Reality: Dimensions Determining Telepresence," F. Biocca and M. R. Levey, eds., Communication in the Age of Virtual Reality, Hillsdale, NJ: Lawrence Erlbaum Associates, pp. 33-56. See also Feenberg and Hannay, eds., Technology and the Politics of Knowledge, Indiana University Press, Bloomington, Indiana, 1995. For edited collections of critical theory on new media, see: L. Hershman,ed., Clicking In, Bay Press, 1996; Kroker and Kroker, eds., Digital Delirium, St. Martin's Press, 1997; Sommerer and Mignonneau, eds., Art @ Science, Springer Verlag, 1998; and the very recent P. Lunenfeld, ed., The Digital Dialectic, MIT Press, 1999. 12 Examples include: G. Bekey, Y. Akatsuka, and S. Goldberg, 1998, "Digimuse: An Interactive Telerobotic System for Viewing of three-dimensional art objects" IROS 1998; P. Saucy and F. Mondada, "Khep-on-the-web: One year of access to a mobile tobot on the Internet" IROS 1998; R. Simmons, "Xavier: An Autonomous Mobile Robot on the Web"; Taylor and Dalton, "A Framework for Internet Robotics" IROS 1998; Siegwart, Wannaz, Garcia, and Blank, "Guiding Mobile Robots Through the Web",all included in Workshop on Web Robots, IEEE/RSJ International Conference on Robots and Systems (IROS), organized by Roland Siegwart, 1998. 13 T. Sheridan, Telerobotics, Automation, and Human Supervisory Control, MIT Press, Cambridge, Massachusetts, 1992. See also Sheridan's "Musings on Telepresence and Virtual Presence" Presence Journal 1:1, 1992. 14 K. Goldberg, M. Mascha, S. Gentner, J. Rossman, N. Rothenberg, C. Sutter and J. Wiegley, "Beyond the Web: Manipulating the Real World" Computer Networks and ISDN Systems Journal, 28(1), December 1995. 16 L. Marx, The Machine in the Garden: Technology and the Pastoral Ideal in America, Oxford University Press, Oxford, 1964. 17 R. Descartes, (1641) translated in Cottingham, John, ed., Meditations on First Philosophy, Cambridge University Press, New York, 1996. 18 I. Hacking, Representing and Intervening, Cambridge University Press, Cambridge, 1983. 19 C. Wilson, The Invisible World, Princeton University Press, Princeton, 1995. 20 A. Borgmann, Information and Reality at the Turn of the Millenium, University of Chicago Press, Chicago, 1999. 21 J. Malpas, Place and Experience, Cambridge University Press, Cambridge, 1999. 22 A. Goldman, Epistemology and Cognition, Harvard University Press, Cambridge, Massachusetts, 1986; and A. Goldman, Knowledge in a Social World, Clarenden Press, Oxford, 1999. 23 E. Gettier, "Is Justified True Belief Knowledge?" Analysis 23: 121-3.(1963). 24 N. Goodman, "Art and Authenticity" in Languages of Art, Bobbs-Merrill, Indianapolis, 1968. 25 J. Baudrillard, "Fatal Strategies" in Selected Writings, ed. Mark Poster, Stanford University Press, Stanford, 1988. 26 For an in-depth discussion of phenomenology in film, see V. Sobchack, The Address of the Eye: A Phenomenology of Film Experience, Princeton University Press, Princeton, 1992. 27 V. Goldberg, Review of Jeff Wall Photography, New York Times, 16 March 1997. 28 N. Goodman, "Art and Authenticity" in Languages of Art, Bobbs-Merrill, Indianapolis, 1968. 29 D. Hunt, "Telepresence Art," Camerawork Journal, 1999. 30 D. Pescovitz, "Be There Now: Telepresence Art Online," Flash Art 32 (205), pp. 51-52. 32 In Paris, the Cartier Foundation for Contemporary Art hosted an exhibition involving Internet telecameras from June 29-November 30 1999. See www.fondation.cartier.fr. 33 J. Baudrillard, The Gulf War Did Not Take Place, transl. Paul Patton, Power Publications, Sydney. 34 M. Minsky, "Telepresence" Omni 2 (9), p. 48. Also see J. Steuer, "Defining Virtual Reality: Dimensions Determining Telepresence" in F. Biocca and M. R. Levy, eds., Communication in the Age of Virtual Reality, Lawrence Erlbaum Associates, Hillsdale, New Jersey, 1995, pp. 33-56. Immersive telepresence is not yet feasible on the Internet due to transmission delays. See also T. Campanella's discussion of telepresence in Chapter 2 of this volume. 35 R. Wallace designed Alice, a sophisticated Internet chatterbot: www.alicebot.org. 36 H. Dreyfus and S. Dreyfus, Mind Over Machine : The Power of Human Intuition and Expertise in the Era of the Computer, Free Press, New York, 1986. 37 M. Merleau-Ponty, The Film and the New Psychology. The 1945 essay from Sense and Non-Sense, transl. H. Dreyfus and P. Dreyfus, Northwestern University Press, Evanston, Illinois, 1964. Chapter 18 of this volume.